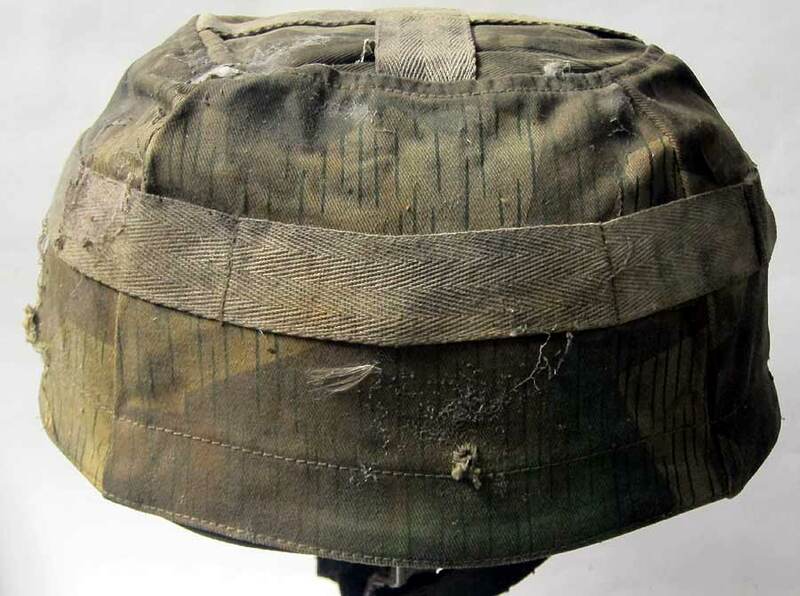 Reproduction and aged German Fallschirmjäger helmet cover. 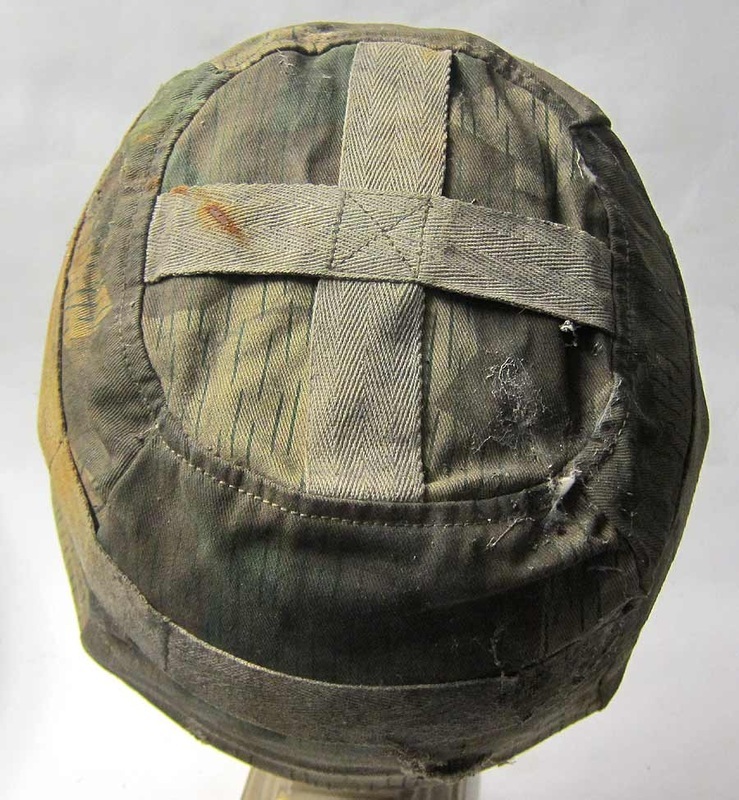 Probably the best aged reproduction helmet cover on the market today, in-fact so good we changed a few details to prevent them being passed off as originals. Each one is unique and the pictures below help to convey the finished result. 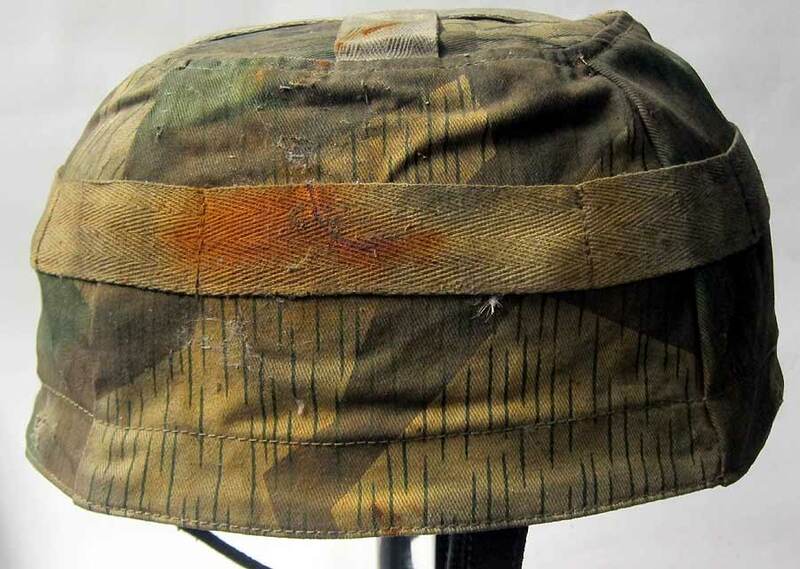 These are fragile just as a 65+ year old helmet camo cover would be, so treat them gently when applying to your helmet. 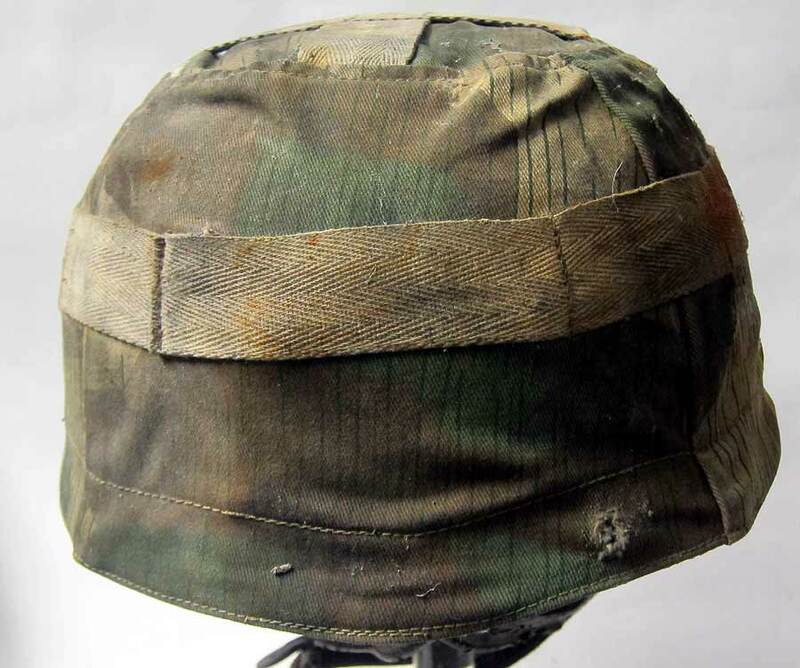 If you don't see a German helmet part or accessory suitable for your helmet or hat and want one made up, please email us the details. We may be able to make it for you. 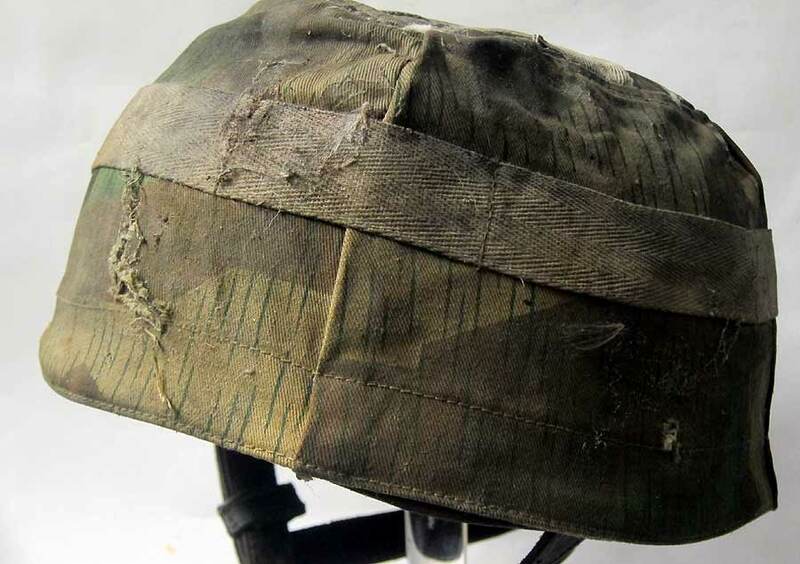 Please be aware we only make historially accurate helmet & hat parts. Use the 'Add to cart' buttons below to buy your items. This will open a new Paypal window and any subsequent 'purchases will be added to the cart. If you want to pay by alternative means thats simple just email us and ask! You do not need a PayPal account to use PayPal to make your purchase. Simply enter your card details on the page you will arrive at and confirm your order.